20/05/15. Shaqlawa, Iraq. 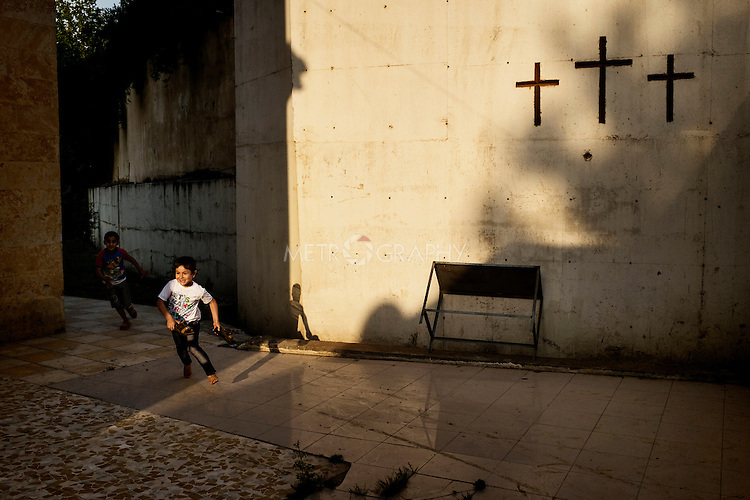 -- A displaced Christian boy from Qaraqosh inside the courtyard at Al Shuhada church. Around 800 Christian families have arrived to Shaqlawa since August 2014. Most of them have now been moved to shipping containers in a new camp in Erbil.